Where Your Daughter is Not Just Another Test Score! With Ashley Hall’s individualized approach to education, your daughter is recognized, respected, and ready for success. The School’s enduring mission, crafted in 1909, is how we continue to define student achievement: producing educated women who are independent, ethically responsible, and prepared to meet the challenges of society with confidence. It drives everything we do. As you can see, it’s much more than a test score. It’s how we live our life throughout campus. Ashley Hall’s exceptional program is intentionally tailored to the way girls learn best—through collaboration, discussion, and individualized attention. The results are remarkable. Our graduates continue to impress with more than $14 million in merit scholarships garnered over the last five years, including three University of North Carolina Morehead Cain Scholars, one of the most prestigious scholarships extended. Younger students begin to fully embrace the school’s mission through their dedicated work with long-term community partners such as the South Carolina Aquarium’s Sea Turtle Hospital and Water Mission International’s annual “Walk for Water.” Our STEAM curriculum begins in Lower School with creative approaches to coding while Intermediate Program girls design, build, and sail their own hand-engineered wooden boats in a unique boat building project with the Lowcountry Maritime Society. 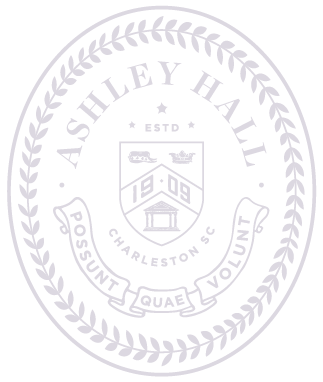 The Ashley Hall curriculum is rounded out with one of the strongest arts program in the state, including visual and performing arts, and an athletic department known for its sportsmanship and prowess on the field. Come see the excitement for yourself and bring your daughter along! Financial assistance is available. Click on the button below to inquire.